You can enjoy shopping and spa treatment at the same time! A large multiple entertainment shopping mall, BRASCO opened on September, 2011 and this is the 6th one in Indonesia. 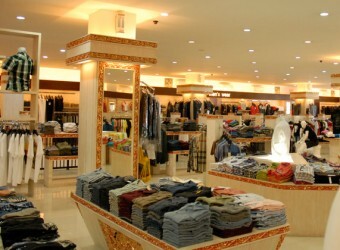 It has various fashion items including shoes and bags. Before or after the shopping, you can try spa courses at Mango Spa in the shopping Mall reasonably! I enjoyed fun shopping at a fashionable shop. I just brought a few clothes when coming to Bali. After arrived at Bali Island then I had shopping here. Not only ladies corner but there is also men corner, my husband bought one piece of jeans for my husband.